For the most part, the diamond in spiritual literature is referred to in metaphorical terms and intended to represent a state of being or level of consciousness indicative of achieving connection with the divine. What many have not yet realised, is that it is an actual structure or matrix of light that is taking shape within our energy fields - perfectly timed to awaken our consciousness and actually ENABLE spiritual transformation in all who choose to connect and work with it. This transformation aligns us with our divine nature, helping to break down and break through all of the ego structures that have held up the barriers to our connection with this core essence. The diamond I speak of is an OCTAHEDRAL body of light that is the home of your sovereign self, your connection to the Christ Consciousness apsect of yourself. The diamond journey is one of moving from darkness into light, transmuting all along the way. It is the archetypal Hero's Journey, leading you ultimately into greater and more expansive enlightenment. It is simple in nature and deeply profound in its understanding. The diamond journey is not a quick fix spiritual tool, but a journey that connects you with the most enduring and eternal nature of life itself. To align your Diamond Light Grid is to activate the movement of Universal light and information for cellular and spiritual transformation. Are you ready to walk the diamond path of enlightenment?? The Diamond Light Grid Alignment is born out of many years of personal journeying into the deeper realms of bio-energetic healing and an intense attraction to grid-work, both personal, planetary and cosmic. This journey began in South Africa - often regarded as the original 'home' of the diamond - and took me from a well established home and career there, to a new life and countless valuable experiences in the UK. I had always felt that there was so much that could be achieved in the healing process through understanding how our DNA works, its energetic components and its impact on our biology as well as our mental and emotional states. Having a technical scientific background and degree, this fascination has been present for many years and has involved an exploration into the spiritual as well as biological elements connected with this enthralling subject. The spiritual, creative essence within me accepts that there are many things we can have faith in but cannot yet fully explain, while the scientist continues to search for answers or some form of validation for the information received. In 2002 I began to receive some interesting messages from Spirit regarding energy, shape, grids and DNA. Little of it made much sense at that stage. This progressed to actually receiving a series of what I was told were Light Codes, various geometric shapes each having specific colours and varying impacts on the energy templates of the body. I duly recorded the information, but didn't quite know what to do with it! At around the same time, I was given a message from a highly sensitive student of mine that I had to Build the grid between the stars - these being the earth star and the soul star. Needless to say, I again had no clue at the time just what that meant. Then 18 months later, I began to receive downloads of information from Spirit about a grid matrix of brilliant light that surrounds and interpenetrates the physical body. This grid as I was shown has a distinct octahedral shape and is comprised of numerous fibres of high voltage electro-magnetic energy. I was further told by Spirit that the grid is our conduit to a higher potential of spiritual energy. This energy directly nourishes us, provides healing and balance and will enable us to connect more fully with Source. What I call The Diamond Light Grid is the geometric structure that enables integration of the Light Codes into the physical body, and will assist us to energetically change coded patterns of behaviour held within the DNA. It took a great leap of faith to begin working with the information received! With a deep breath, trust and pleas for assistance from Spirit, I enlisted the help of friends and clients, both here and in South Africa to experience an alignment with this new grid matrix system. The results both surprised, fascinated and amazed me - and continue to do so. The energy is refined, intense and differs from the soft, gentle energy most often experienced during Reiki or Spiritual Healing. The recalibration and alignment to this new 'diamond grid matrix' has resulted in tangible results. As I worked with the grid,it became more crystalline in nature, to the point where I now see it as an incredibly brilliant white crystal light and often iridescent in nature. Working with the Diamond Light Grid is an evolving process. We work with the grid as the primary tool to assist us in discovering and uncovering multi-dimensional levels of self along the road to deeper understanding, spiritual development and greater health. The workshops and Home Development program all offer substantial supporting and validating scientific information along with that which has been given by Spirit. The diamond journey is an incredibly rewarding one and provides you with tools for your own evolution and growth. It is the highest form of transformation and transmutation representing true spiritual alchemy. This body of work represents an honouring of the co-creative force of Spirit that has allowed for its birth. 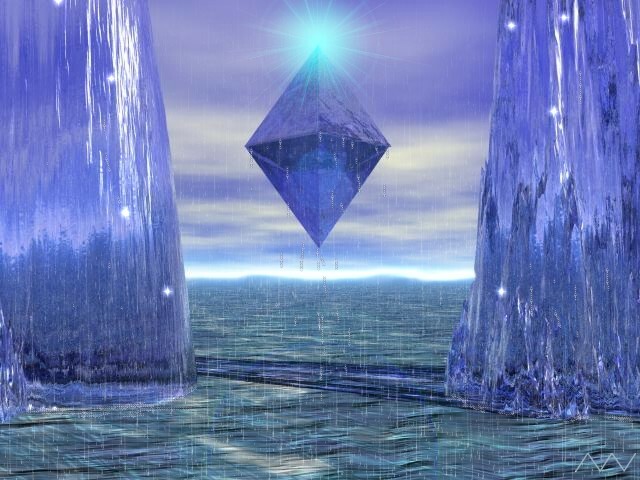 The Diamond Light Grid Alignment therefore connects us with our perfect state, our divine essence and the point within us that has infinite potential. It represents a state of balance, so necessary as both we and our planet evolve. This brief introduction would not be complete without also honouring those on my journey who have assisted me in so many ways - as teachers, friends, family, healing facilitators, antagonists, and spiritual helpers. All have served to take me more fully into my own essence, and many have been quick to remind me of their faith in me when my own has faltered. My entire being thanks you. 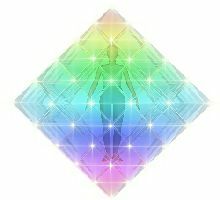 I hope that you will enjoy the Diamond Light Grid journey as it unfolds and that each one of you will discover the magic and the diamonds that lie in wait!